Detail of Paraje. 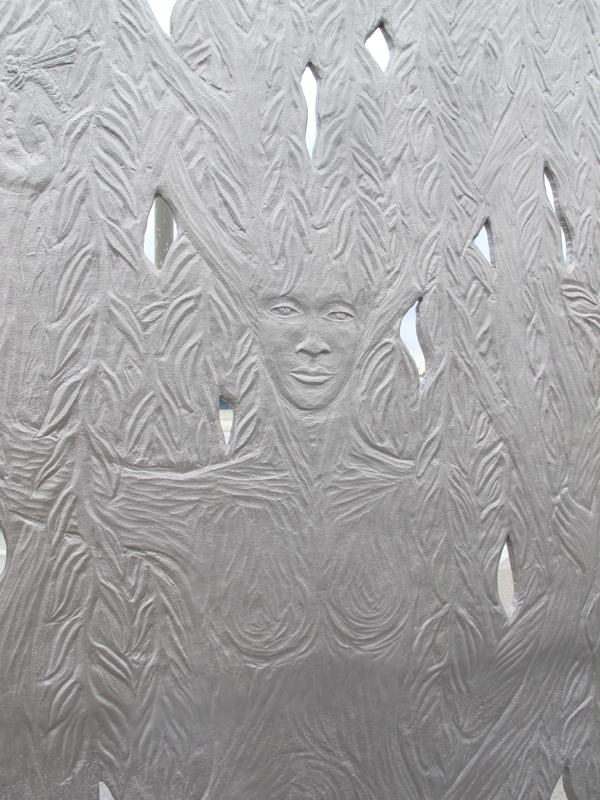 The sculpture’s west face depicts a willow tree, while on the east face a willow spirit emerges mysteriously from the tree. The folds of the willow spirit’s dress become the roots of the tree and the spirit’s upheld arms become branches.